As you can see both of these domains appear identical in the browser but they are completely different websites. One of them was registered by us, today. Our epic.com domain is actually the domain https://xn--e1awd7f.com/ but it appears in Chrome and Firefox as epic.com. The real epic.com is a healthcare website. Using our unicode domain, we could clone the real epic.com website, then start emailing people and try to get them to sign into our fake healthcare website which would hand over their login credentials to us. We may then have full access to their healthcare records or other sensitive data. We even managed to get an SSL certificate for our demonstration attack domain from LetsEncrypt. Getting the SSL certificate took us 5 minutes and it was free. By doing this we received the word ‘Secure’ next to our domain in Chrome and the little green lock symbol in Firefox. In your firefox location bar, type ‘about:config’ without quotes. Do a search for ‘punycode’ without quotes. Can I fix this if I use Chrome? Currently we are not aware of a manual fix in Chrome for this. Chrome have already released a fix in their ‘Canary’ release, which is their test release. This should be released to the general public within the next few days. Until then, if you are unsure if you are on a real site and are about to enter sensitive information, you can copy the URL in the location bar and paste it into Notepad or TextEdit on Mac. It should appear as the https://xn--….. version if it is a fake domain. Otherwise it will appear as the real domain in its unencoded form if it is the real thing. The concept of an IDN homograph attack has been around since 2001 when Israeli researchers Evgeniy Gabrilovich and Alex Gontmakher first wrote about it. Web browsers have attempted various fixes but the current implementations in Chrome and Firefox are clearly not doing a good enough job. To Chrome’s credit, they are about to fix that. Thankfully there is a manual fix for Firefox. We would like to encourage you to spread the word. 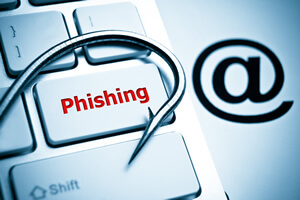 This new twist on phishing is getting a lot of attention today, Friday April 14th and is making the rounds currently in the security community. Xudong Zheng wrote about this earlier today and it is also being discussed on the netsec subreddit. We think here is a high possibility that this may be exploited in phishing attacks before the Chrome fix is released to the general public, which is why we are posting this public service announcement.